As a premier commercial real estate developer in Central Ohio, The Robert Weiler Company has continually transformed the region for over 75 years. Our team loves working with a blank canvas. It’s how our founder, A. Robert Weiler got his start in a small office on 175 S. High Street in Downtown Columbus, Ohio. The Robert Weiler Company takes pride in knowing that we’ve built this community with you, not only as a real estate developer, but an engaged resident and a trusted friend. And when it comes to our commercial real estate development services, our mission is to satisfy our clients and our neighbors. From single-family subdivisions in the 1940s and 1950s, to more recent retail and entertainment venues, The Robert Weiler Company has been shaping Central Ohio for decades, turning dreams into realistic, functional, and aesthetically pleasing commercial real estate Columbus OH has to offer. At The Robert Weiler Company, we have three generations of professionalism. We understand the market because we’ve been here all along. And we have the financial know-how and industry savvy to back it up. Whether it’s buying the land, financing it, leasing it, or building it, we have the expert team to turn your vision into reality. As business owners and residents of the community, we’re glad you decided to invest here and help grow the region. Now we want to invest in you. Our real estate developer team possesses exactly what you need to be a catalyst for your development. Just look at what we’ve done so far for Columbus, Central Ohio, and beyond. Office Building Development: The Robert Weiler Company has developed office suites and office parks as well as everything in between. And, in addition to breaking ground, we also handle the management of these properties. Whether a single tenant office or large, mid-rise office building, we’re experienced in bringing your project to fruition. Retail Property Development: Did you know that we were involved with the development of the Polaris Mall—the only mall in the country that opened with 7 anchor tenants? Small spaces, moderate spaces, and even large spaces…we’ve done it all. Our team has the expertise to handle any size retail development project. Industrial Property Development: From industrial parks to large-scale warehouse space, we know what success means for an industrial property. As such, our consultants can create a cost-effective solution in uncovering the right property and creating a team around its development. Land Development: We enjoy working on a blank slate; it’s one of the reasons that our founder, A. Robert Weiler, established The Robert Weiler Company. Since 1938, we’ve built residential and commercial properties from the ground up. Commercial Real Estate Development: Time and time again, we’ve been recognized for demonstrating the highest level of knowledge and integrity in commercial real estate development decisions. With our objective analysis methodology and financial savvy, we have a deep acumen of what it means to create value from a commercial development property. Apartment Building/Multi-Family Property Development: In the 1940s and 1950s, we were pioneers, helping to build the first residential communities in Columbus, Ohio. 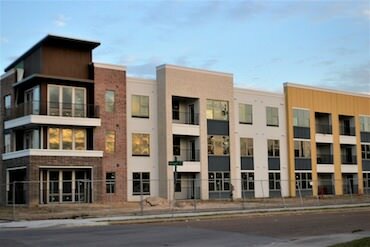 Since then, we have worked on thousands of multi-family units, from high-end luxury projects to more modest housing. You chose to invest in Ohio because you’ve seen an opportunity here, and we’re glad you’ve uncovered this amazing community. So, shouldn’t you work with a company that has a profound passion for Central Ohio? At The Robert Weiler Company, our mission has been to develop strong and sustainable communities in the Greater Ohio area; and it starts and ends with you—our client. Let’s work together on that mission! Contact one of our property development consultants at 614-221-4286. See for yourself the difference a first-rate Columbus, Ohio real estate developer can do for your investment.